Just wanted to say thanks again for making what could have been a very chaotic and stressful couple of days, a huge enjoyment. Thanks to all your help with maps, simple directions, emails, calls and texts! 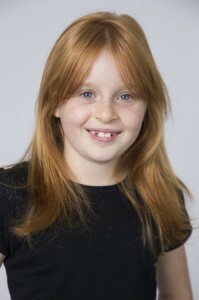 Amber had so much fun, she loved her time with Blake and Mishi in the studio. Amber walked away saying she felt like a princess . And Janet Marks the acting coach did a fantastic job, she sounded like she has a fountain of knowledge behind her. She gave wonderful tips and advice. I can honestly say you have a wonderful team, everyone was so friendly, helpful and down to earth. We are both really excited about the new opportunities that may await for Amber.